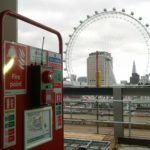 As we know, conducting a fire risk assessment for your construction site is very necessary. It can help to contain the damage that may be caused in case of a fire outbreak, not only in terms of safeguarding the lives of people, but your property and premises too. In this concluding article of the series on “Fire Risk Assessment”, we will look at “Making Emergency Plans” and the fifth step of the risk assessment i.e. “Review”. On basis of the fire risk assessment that you have completed, you must develop your emergency plan which should be easily accessible to your workers, contractors, sub-contractors, their managers, the regulating authority, etc. 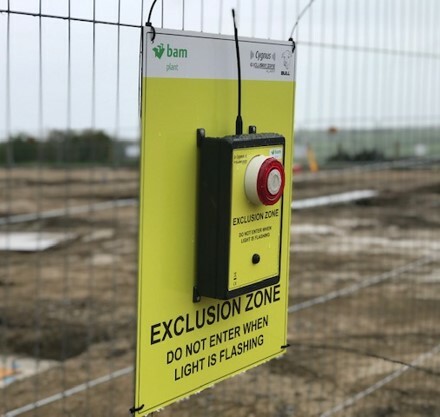 These plans must be in place before any work commences on the worksite and any control measures that have been identified must be put in place before the project begins. 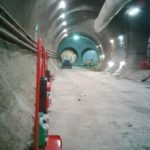 Apart from fire-related emergencies, the plan should address other problems that people may encounter on the worksite such as flooding, tunnels, toxic gases, etc. 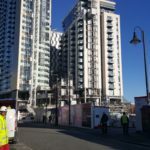 The idea of the emergency plan is to ensure that all the people present on the construction site are aware of what to do in the case of a fire and what steps to take to evacuate to safety. Sometime only part of the site may be affected, which may require only partial evacuation. In this case, the emergency plan must have details of what workers should do in case of a partial evacuation. The emergency plans must also consider the occupants of any adjacent premises. Once the risk assessment is completed, you must monitor how this is being implemented and how successfully the risk is being controlled. 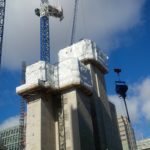 Since construction sites undergo changes rapidly and the workforce on these sites is transient, the risk assessment must reflect these changes and adequate measures must be provided. Advancements through the various phases of construction i.e. alterations to the building structure, internal layout, etc. 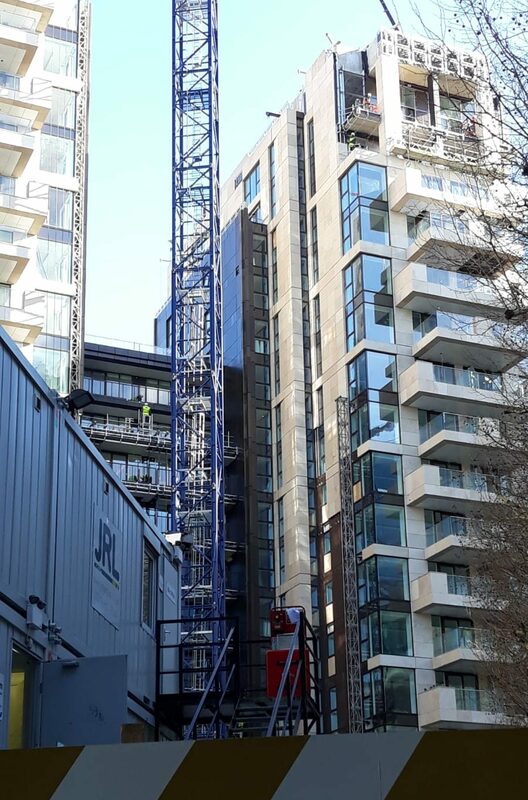 The assessment need not be changed for every small change on the worksite; however, if the new changes have some risks or dangers associated, then they must be considered. The assessment must be reviewed on a regular basis to ensure that the precautions are working effectively. 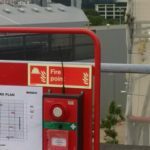 If there is a fire breakout on the worksite, then it could mean that your risk assessment is ineffective and a re-assessment should be carried out. It is a good idea to identify the cause of the incident and review the same. The fire risk assessment must then be altered on basis of the findings. All records of maintenance, testing and training should be kept up-to-date. This can be useful whenever there is a review. 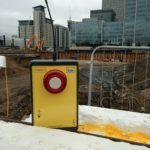 This brings us to the end of the topic of fire risk assessment on construction sites. By diligently following the steps and instructions laid out, you can ensure the safety of your work premises, materials, as well as your people. Cygnus range of fire protection equipment can also help you in this direction. 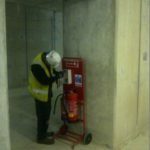 The high-end Cygnus fire suppression as well as fire prevention products can help to keep your worksite safe and secure. It is no wonder that today the word “Cygnus” is synonymous with safety.